IPv6 only officially launched a couple of months ago but according to senior research and development scientist George Michaelson from the Asia Pacific Network Information Centre, adoption of the new standard is off to a solid start. Michaelson provided some numbers from statistical research to back up his claims during a speech at an IETF 84 event, as reported by Enterprise Networking Planet. His research shows that IPv6 penetration in the US sits at 1.35 percent as of August 1, or roughly 3.3 million users – the highest adoption in the world. Japan scores high as well with nearly two million users already on board. If you look strictly at percentages, Romania leads the list at 8.73 percent but that only translates to roughly 756,000 users. Many would have anticipated China to have a higher level of penetration seeing as they are one of the countries that need IPv6 the most, but data shows that only 0.42 percent of residents have adopted the protocol, or about 2.12 million. 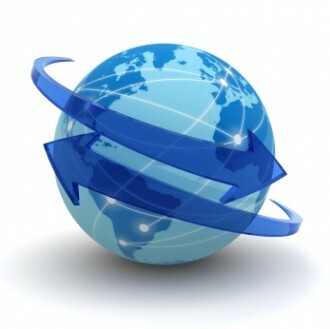 IPv6 launched on June 6, 2012 as the successor to IPv4. A new standard was needed as there simply weren’t enough IP addresses in the 32-bit IPv4 standard to go around. At the beginning of this year, Asia’s supply of addresses had already been exhausted while Europe was projected to run out this summer and the US might have been able to hold out until mid-2013. Whereas IPv4 had roughly four billion IP addresses on tap, the 128-bit IPv6 offers up 340 billion, billion, billion, billion addresses – so yeah, there likely won’t be a shortage of new addresses in our lifetime.